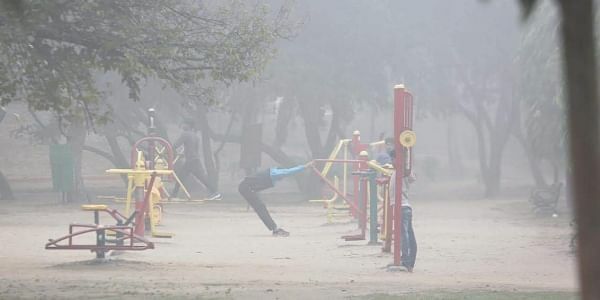 After the deadly smog in Delhi, the hazardous weather conditions have hit the state of Uttar Pradesh with various cities recording dangerously poor air quality, officials said on Thursday. LUCKNOW: After the deadly smog in Delhi, the hazardous weather conditions have hit the state of Uttar Pradesh with various cities recording dangerously poor air quality, officials said on Thursday. The Air Quality Index (AQI) of Noida has been noted as the worst in the state in the past 24-hours. The air quality in the state capital is worst in Lalbagh where the average AQI is 463, which was very close to that in Noida in the last 24-hours, an official told IANS. Following this, on the lines of Delhi, the district administration in Noida has ordered the closure of all schools from nursery to Class 8 until November 10. The AQI in Moradabad is 439, Noida (469), Lucknow (430), Agra (394) and Ghaziabad (372). Due to the smog that has descended on most parts of the state, as many as 17 persons have been killed in road accidents across the state in the last 24 hours, police said.